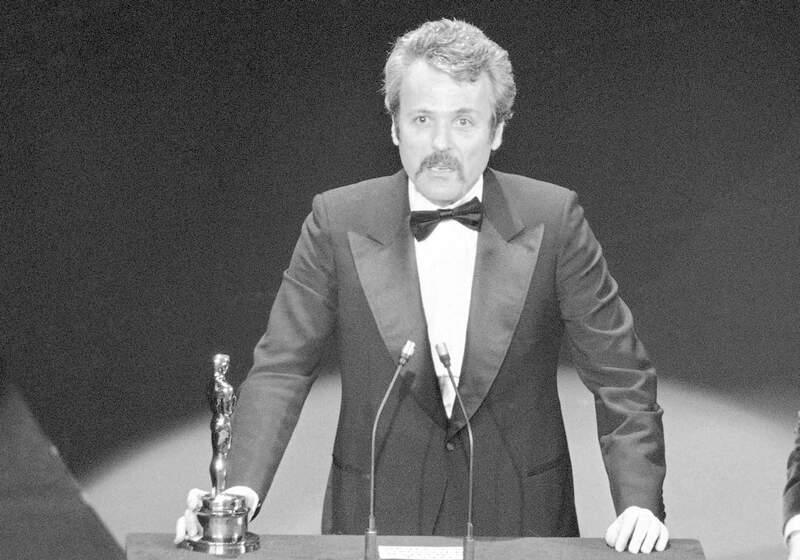 William Goldman accepts his Oscar at Academy Awards in 1977 in Los Angeles, for screenplay from other medium for “All The President’s Men.” Goldman, the Oscar-winning screenplay writer of “Butch Cassidy and the Sundance Kid” and “All the President’s Men” died Friday at age 87. NEW YORK – William Goldman, the screenwriter and Hollywood wise man who won Academy Awards for “Butch Cassidy and the Sundance Kid” and “All the President’s Men” and summed up the mystery of making a box office hit by declaring “Nobody knows anything,” has died. He was 87. Goldman’s daughter, Jenny, said her father died early Friday in New York because of complications from colon cancer and pneumonia. “So much of what he’s written can express who he was and what he was about,” she said, adding that the last few weeks, while Goldman was ailing, revealed just how many people considered him family. Goldman, who also converted his novels “Marathon Man,” “Magic” and “The Princess Bride” into screenplays, clearly knew more than most about what the audience wanted, despite his famous and oft-repeated proclamation. He wrote a litany of box-office hits, was an in-demand script doctor and carved some of the most indelible phrases in cinema history into the American consciousness. William Goldman had come to screenwriting by accident after actor Cliff Robertson read one of his books, “No Way to Treat a Lady,” and thought it was a film treatment. After he hired the young writer to fashion a script from a short story, Goldman rushed out to buy a book about screenwriting. Robertson rejected the script but found Goldman a job working on a screenplay for a British thriller. After that, he adapted his novel “Harper” for a 1966 film starring Paul Newman as a private eye. He broke through in 1969 with the blockbuster “Butch Cassidy and the Sundance Kid,” starring Newman and Redford. Based on the exploits of the real-life “Hole in the Wall” gang of bank robbers, the movie began a long association with Redford, who also appeared in “The Hot Rock,” “The Great Waldo Pepper” and “Indecent Proposal.” Goldman’s script set a then-record $400,000 (or about $2.9 million today). Other notable Goldman films included “The Stepford Wives,” “A Bridge Too Far” and “Misery.” The latter, adapted from a Stephen King suspense novel, won the 1990 Oscar for Kathy Bates as lead actress. In 1961 Goldman married Ilene Jones, a photographer, and they had two daughters, Jenny and Susanna. The couple divorced in 1991. Goldman died Friday in the Manhattan home of his partner, Susan Burden.